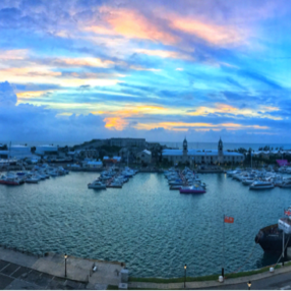 Visit the Royal Naval Dockyard in the West End, which served a vital function in the War of 1812, World War I and II, and the Cold War. Visit the Royal Naval Cemetery and the Navy Crest Wall, featuring art from the British Royal Army and Navy and other NATO members. I have been to Bermuda 2 times already with in a year and I am in love. The beaches and the views are amazing. If you cruise in don’t book an excursion via the cruise line for horseshoe bay beach. You can take a mini bus right from the dockyard for 7.00 each way per person and they run constantly from early morning till about 5-530. I learned that the hard way the first time when I paid 50.00 pp for round trip for 3 hrs. This last time I did the mini bus and I spent all day at the beach. 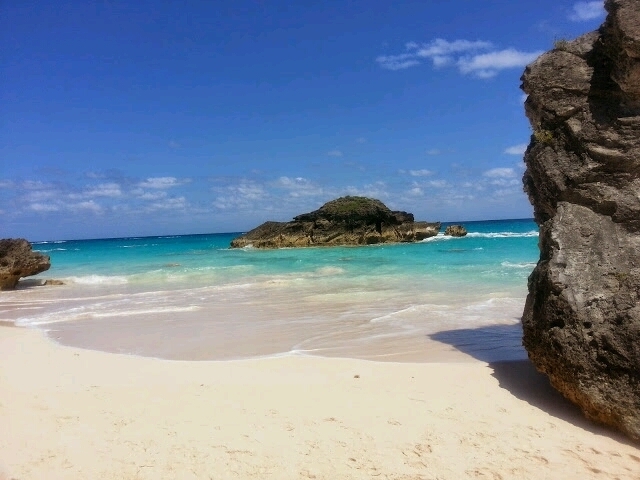 Been to Bermuda 4 times and I’m going again later this month! It’s hands down a great trip! The locals are very friendly and the sights are absolutely breathtaking! Fun for all ages and always stuff to do! We just got back yesterday from our cruise to Bermuda on the Norwegian Escape! It was by far the most gorgeous island I’ve ever visited compared to the islands on my previous two cruises (eastern & western Caribbean)! The locals are friendly, the water is a stunning blue, the coral reef & shipwrecks are intriguing, and the colorful houses really make this island beautiful and unique! The local ice cream shop ( Alex & Pete’s) off the pier is a MUST try, the popsicle stand (Dooh Pops) near the ice cream shop is very refreshing as well, the clock tower mall has good stores to get souvenirs and local artwork (Lesa-Ann Rego has a gallery in the mall and her work is so vibrant and truly captures the spirit of the island), along with Makin’ Waves which is right outside the mall! We visited St. George via the FREE Norwegian ferry (they post the times it leaves & arrives so make sure you double check the times before leaving so you don’t miss the last ferry back! ), it took a little over an hour to get there, and there’s really only 3 or 4 places to eat which were extremely expensive, but the perfumery & St. Peter’s Church were great to visit! 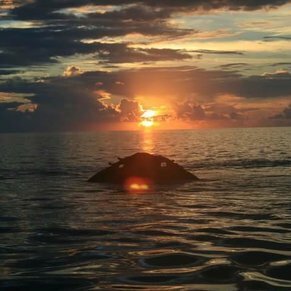 We booked the restless native snorkel tour through NCL, but due to issues with the boat we had to schedule a different excursion. We ended up doing the Glass-Bottom boat tour & snorkel and it was wonderful! We got to see multiple types of coral, fish, and part of the sunken Vixen ship and snorkeled in an area with plenty of fish & coral (the boat also has a water slide off the front)! The tour guides (Paul, Slim, & Selena) really helped us understand the island better and made sure we were having a good time, we also received a free Rum Swizzle after snorkeling (it was DELICIOUS)! Overall, Bermuda and everything it has to offer are wonderful, we’re already planning on our next cruise being back to Bermuda and hoping to actually spend a day at the beach next time! 3rd visit to Bermuda! LOVE the island and the people. So clean and safe! Highly recommend! 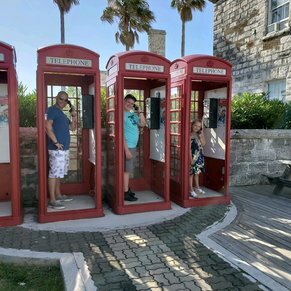 3 of 18 shore excursions in Royal Naval Dockyard, West End, Bermuda. There are currently 0 discussions about Royal Naval Dockyard, West End, Bermuda.